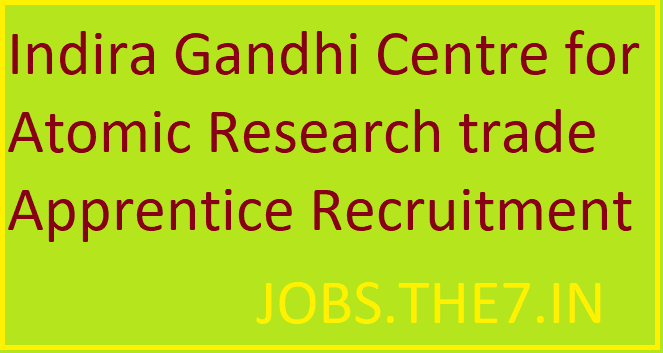 Indira Gandhi Centre for Atomic Research trade Apprentice Recruitment - Government Jobs, Sarkari Naukri, Sarkari Result, Admissions, Rojgar, Exams Alerts. Candidates who have completed their Class 10th level of Examination & along with having ITI Certification in relevant stream will be eligible for this recruitment. 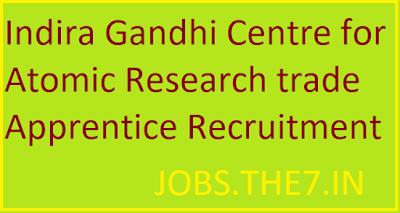 Candidates can apply through link provided below or they can also apply through official site of the ICGAR 24/April/2019.